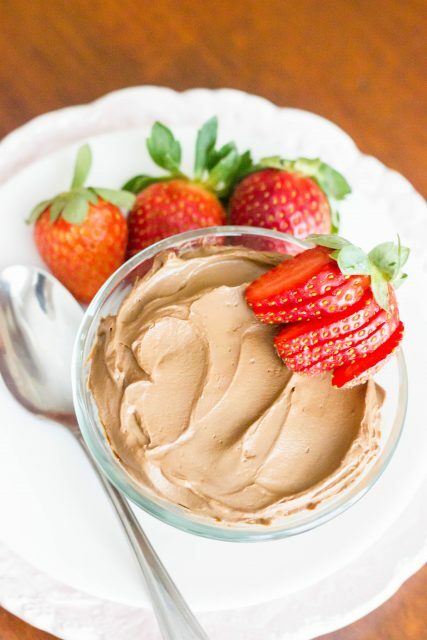 I know you are probably thinking, “Avocado chocolate mousse?? Um, is she crazy?! Sounds gross!“. I thought it sounded pretty strange at first too! And no, I’m not crazy…at least I don’t think that I am anyway! Haha =) Avocados are a strange fruit. It’s like they won’t be ripe at all and then BAM, super ripe – all 5 of them! 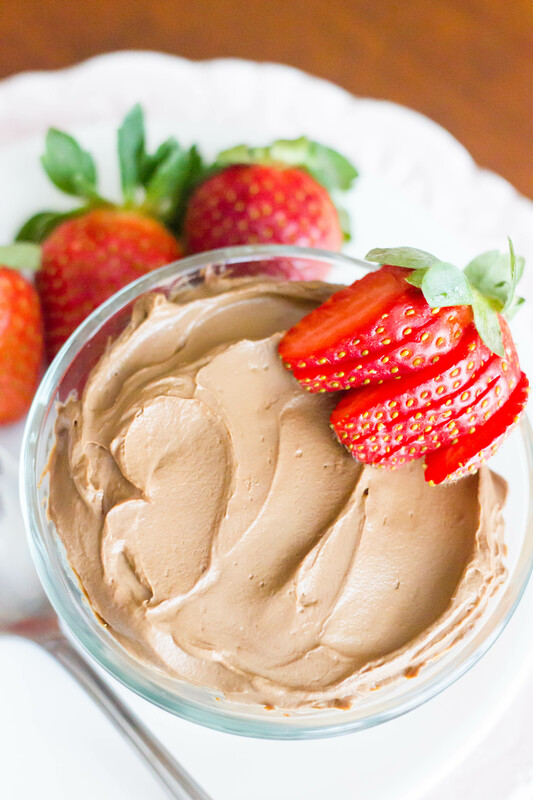 I started googling ways to use up avocado and stumbled across lots of recipes for chocolate pudding or chocolate mousse. Many had good reviews and so I decided to give it a go! I used my 2-Ingredient Chocolate Mousse as a starting point, using avocado instead of tofu. I was very skeptical but considering my avocados were about to ruin, I decided I didn’t have much to lose. I took a timid first bite, but one bite was all it took to make a believer out of me! 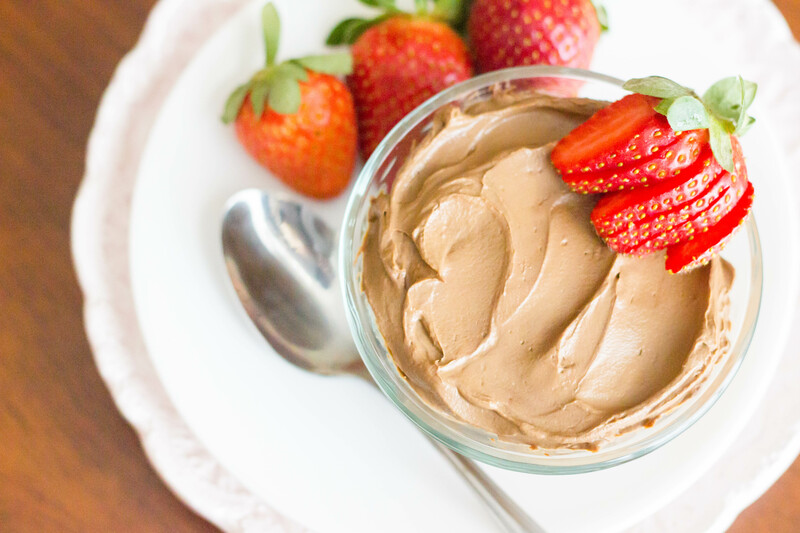 Smooth, creamy, chocolatey, and without any hint of avocado taste – so good! Right out of the blender it tasted like chocolate pudding, but after it chilled in the fridge overnight it firmed up to a more mousse-like consistency. I used bittersweet chocolate, but use whatever kind of chocolate you prefer! Keep in mind, the darker the chocolate you use the “healthier” it will be (i.e. less sugar). Enjoy! 1. Combine all ingredients in blender or food processor and puree until smooth. 2. If you eat immediately, it tastes more like warm/room temperature chocolate pudding. Or, you can transfer mixture to a container and cover tightly with a lid. Store in the fridge for several hours or overnight until cold. At this point, it will firm up and taste more like chocolate mousse. I enjoyed it both ways!